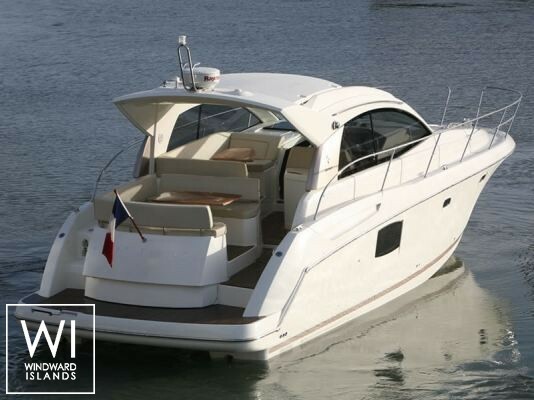 Located in Saint Tropez, French Riviera, this bareboat motoryacht Prestige 38S (2 double cabins), built in 2009 by Jeanneau, is capable of hosting up to 6 passengers and reaches a speed of 27 knots. 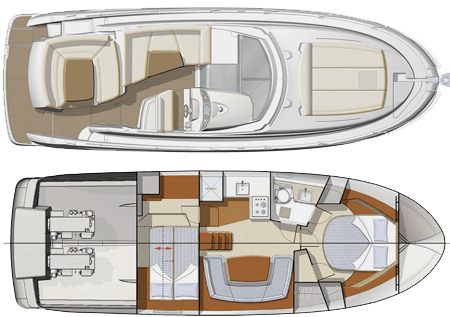 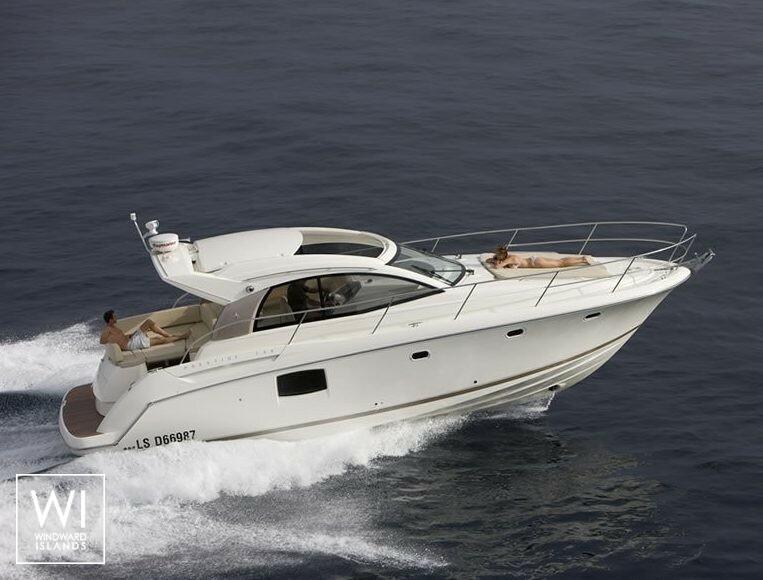 For a complete motoryacht charter journey, Prestige 38S comes with 2x420 Hp engines. 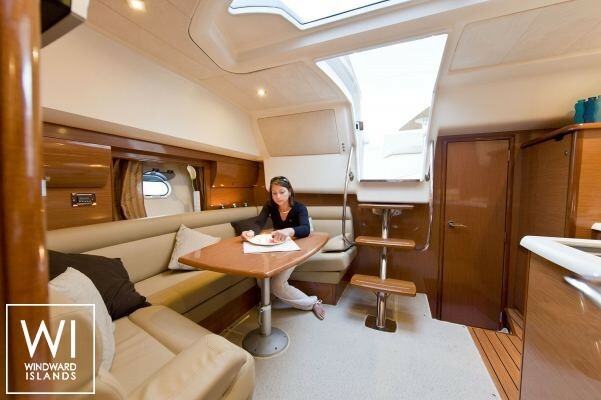 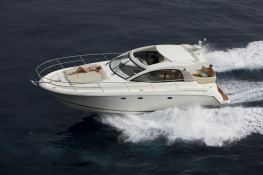 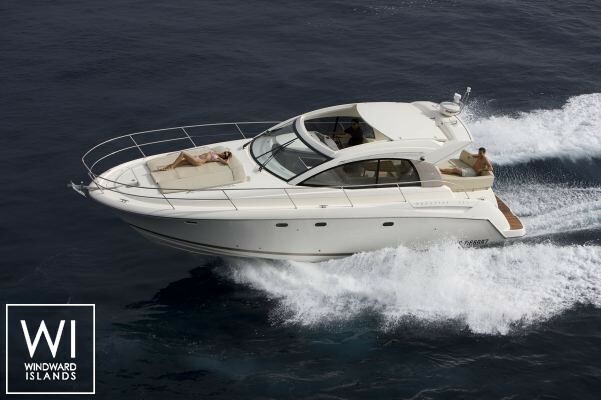 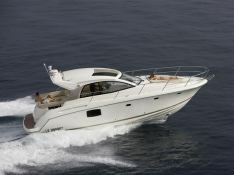 This motoryacht is available for bareboat charter with a base price of 10 800 € (approximatly 12 180 $).